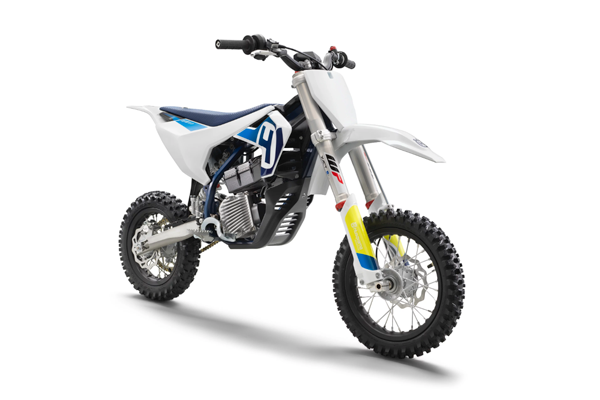 Designed for young aspiring dirt bike riders, the EE 5 combines the latest in electric engine technology with the same ergonomic design principles that make Husqvarna bikes such a joy to ride. Announced for model year 2020, the EE-5 is fully adaptable and adjustable, allowing inexperienced riders the chance to hit the dirt with confidence. As the UK’s first and only Husqvarna Premium Dealer, we expect to receive the EE 5 in the summer of 2019. The EE 5 is already receiving lots of interest from parents of aspiring riders and we recommend giving us a call on +44 1684 297979 or visiting our Tewkesbury showroom to reserve yours today.